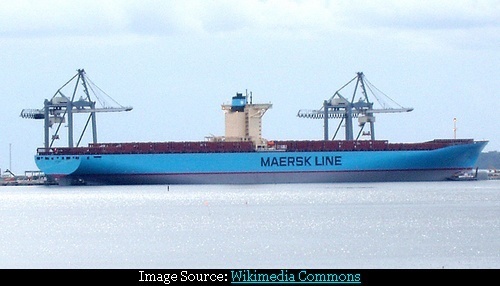 Emma Mærsk is the World's largest ship of any type. She is even larger than the World's largest aircraft carrier USS Enterprise. 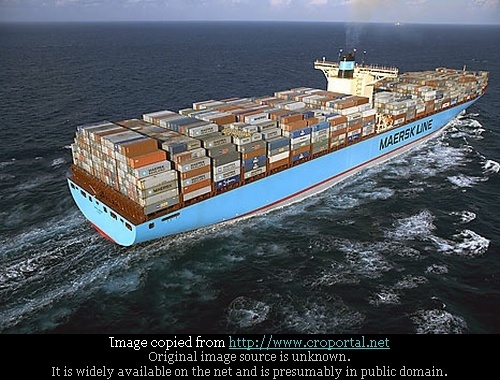 Owned by the A. P. Moller-Maersk Group of Denmark she was originally the largest container ship in the World, second only to Norwegian supertanker Knock Navis. 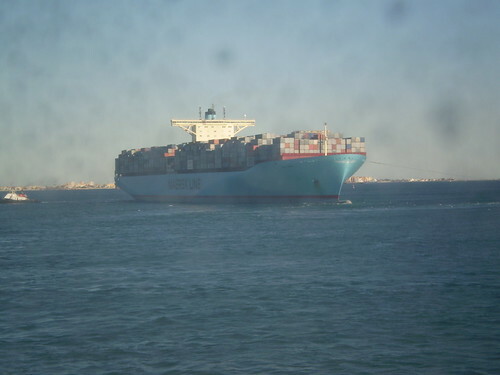 However with scrapping of Knock Navis in 2009, Emma Mærsk and seven other sister ships of Moller-Maersk Group, built between 2006-07 are now the largest. 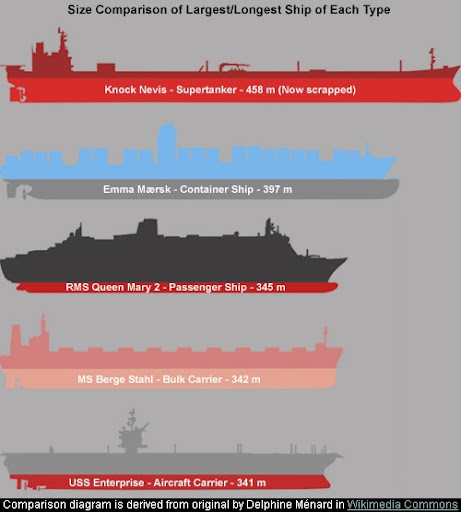 A comparison diagram given below shows the largest ships in each category i.e. Aircraft Carrier, Bulk Carrier, Passenger Ship, Container Ship and Super Tanker. Image derived from original by Delphine Ménard (notafish) in Wikimedia Commons. The ship was built at the Odense Steel Shipyard in Denmark. The ship had a tragic beginning when during construction she was severally damaged by a fire which occurred in her hold on June 9, 2006. However she rose like phoenix to become a majestic and World's largest ship. (More details and images of fire are at gcaptain.com - blog). She was officially named Emma Mærsk on August 12, 2006 and began her operations from September 8, 2006. The ship is 397 metres (1,302 ft) long (roughly the length of four football fields), has a width (beam) of 56 metres (184 ft) and tonnage of 170,974 GT. 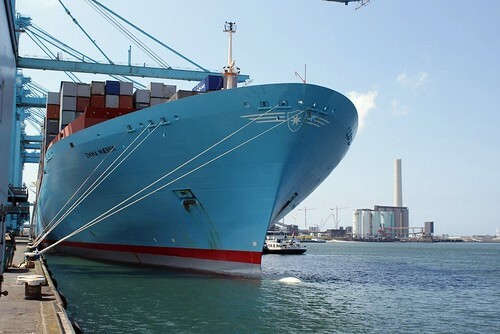 With a capacity of 156,907 DWT she can carry more than 11,000 fully loaded 20-foot long containers at a time. The ship holds another record. She was first to be provided with Wärtsilä RT-flex96C propulsion engine - World's Largest Diesel Engine. It is 13.5 metres (44 ft) high, 27.3 metres (90 ft) long, weighs over 2300 tonnes, has 14-cylinders producing 109,000 brake horsepower (81.3 MW). The ship can be seen in Google Earth / Google Maps during her construction phase at Odense Steel Shipyard.